It's Wednesday so it's time to share WILW! 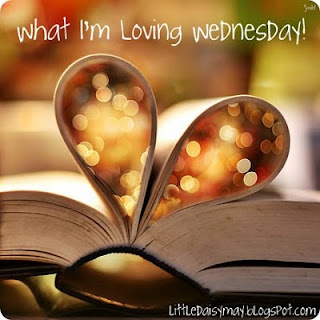 Go to Jamie's blog to see what everyone else is loving this week. 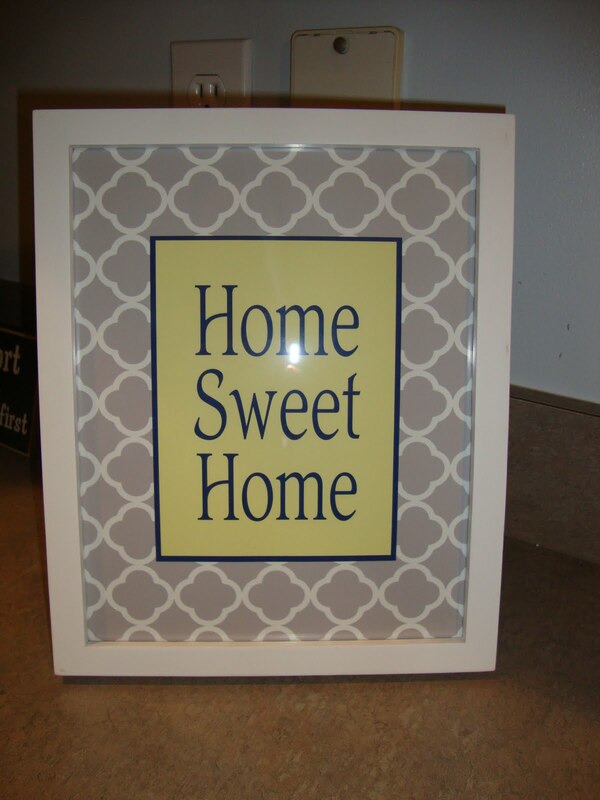 I'm LOVING: this cute print I ordered off Etsy from this shop to go with the yellow, navy, and gray theme I'm doing in our family room/kitchen. I put it on our kitchen counter. Love it. 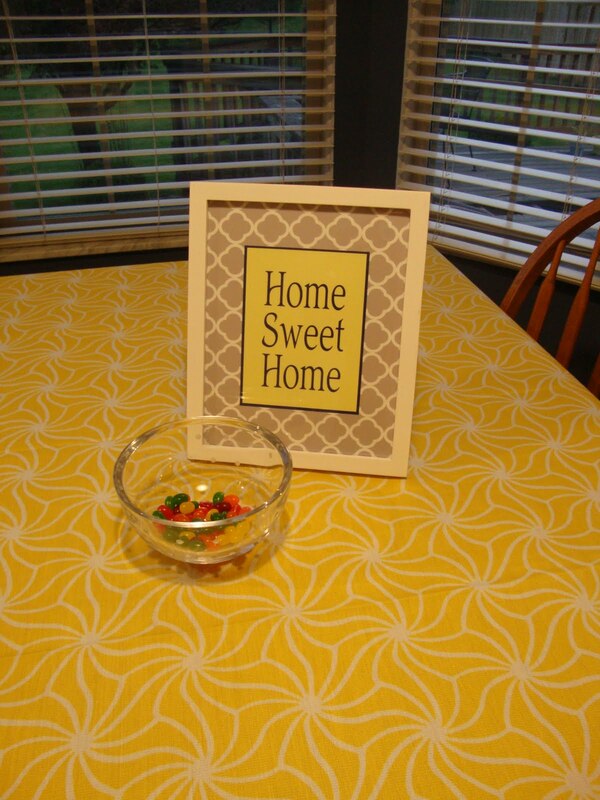 both the tablecloth and print up close! I'm LOVING: Etsy...again. 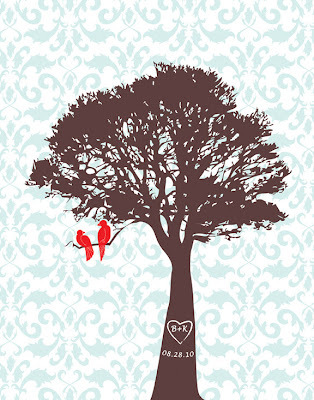 If you remember me mentioning our wedding had a "lovebird" theme, so how could I resist this?! It goes perfectly!! I should get it in the mail soon. It has our initials and wedding date carved on the tree. So excited that this week is flying by! Great post! I loved that fancyprints so much I just went and ordered one! 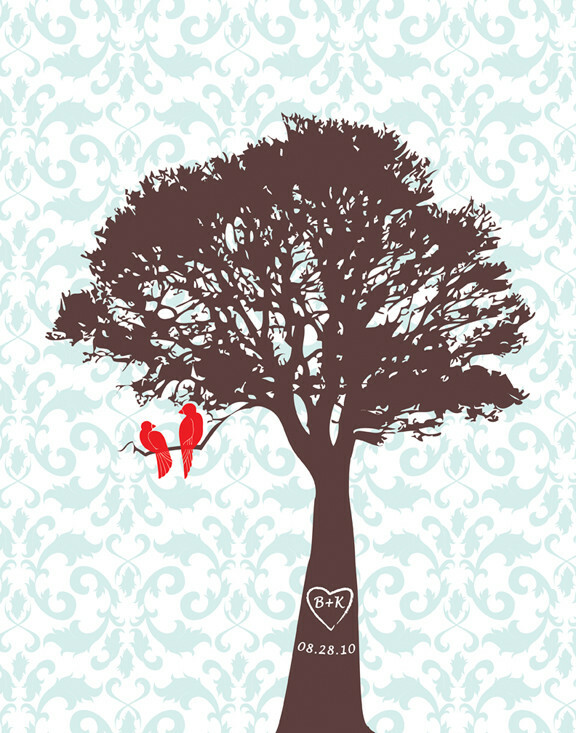 Our anniversary is next month- what a great way to commemorate the occasion! Thanks for sharing! i'm guilty of shopping on etsy like crazy lately too! so many cute things! I'm loving this post! 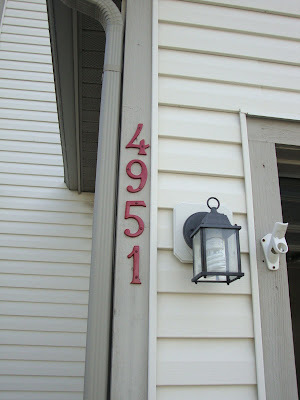 I want a house so badly, but not for the house, for the red address numbers, the new table cloths, the trinkets I can put in the kitchen, the colors I can paint the bedrooms etc. Katie! I'm glad you found me! I've been taking a 'work break' and reading up on your blog. So cute and you are right, lots in common! I will be following for sure ;) Have an awesome day! Love all the stuff you bought for your home. I enjoy decorating and shopping for my home too! I love the home stuff!!! found your blog through wilw! so cute! I love the love birds! So adorable! I am excited to see your yellow/gray/navy room...I absolutely love that color combination! Love that frame and the red house numbers! Newly following from WILW!